Discovery Notes The soil sample was taken from dark sand in a patch of weeds next to a sign. It was top soil, about three inches down. 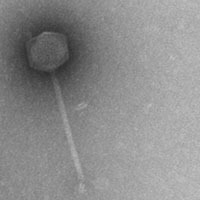 Plaque Notes Omnicron is a phage that produces bulls-eye plaques that are 2 mm in diameter. 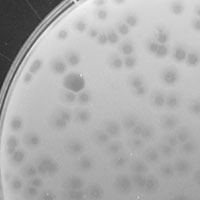 The lytic portion is 1 mm in diameter.